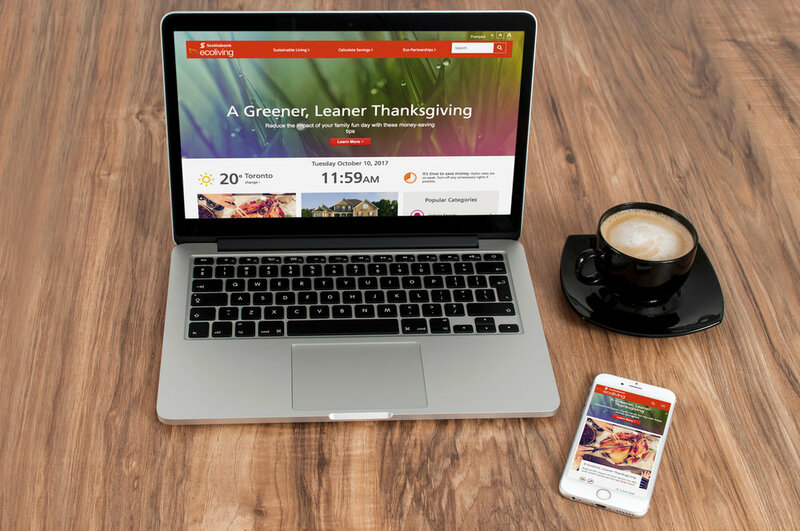 Scotiabank wanted to create a new experience for the Scotiabank EcoLiving site that allowed customers to access content across devices and breakpoints, encouraged exploration and awareness of articles as well as to create efficiencies in authoring content. The solution was to create an element of timeliness to the articles with every visit by featuring seasonal content up front and personalizing the site based on where and when customers visited from. We also looked at how to improve navigation and expose the breadth of article categories in an enticing and seamless fashion. We created structured content models and templates to help facilitate and streamline content production.